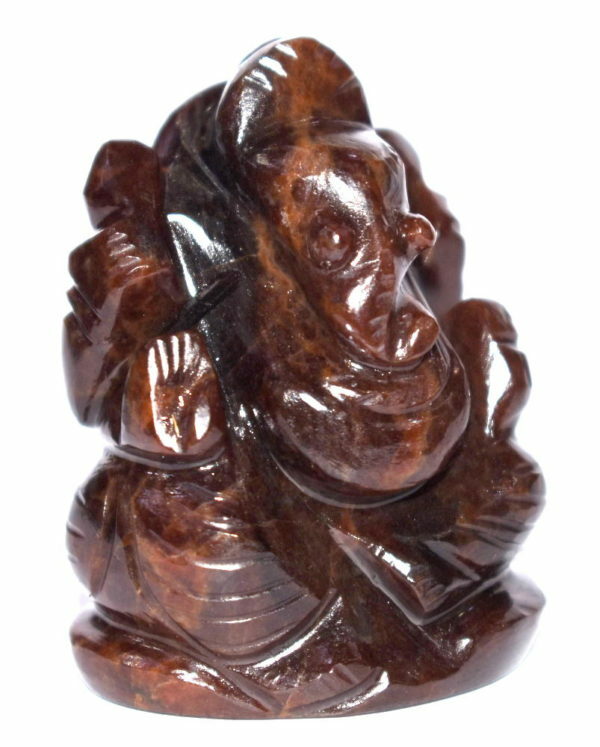 Design : Lord Ganesha Is Carved out In Pure Gomed . 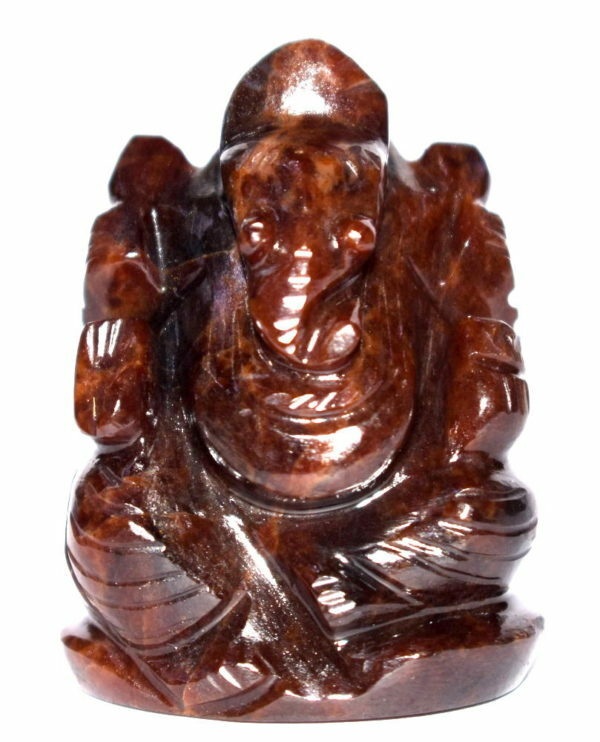 This beautiful Lord Ganesh Idol, finely and artistically carved in 100% Natural Gomed Gemtone, is sitting on a Aasan with a Goad on his right upper hand and Lotus on his left upper hand, while is left palm holds a modak and the right hand is in a blessing position. 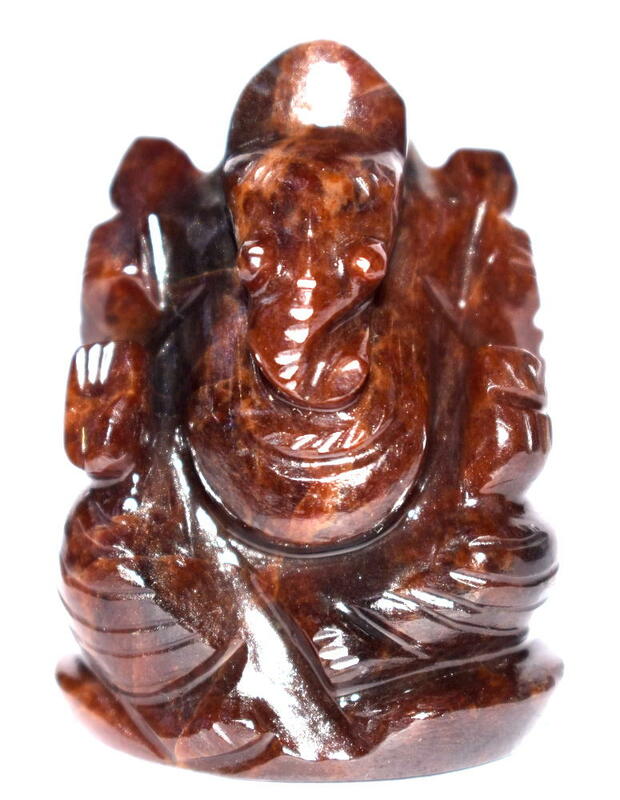 Lord Ganesha in Gomed Gemstone enhances self-confidence, encourages one to fulfill their dreams, brings success in legal matters and along with removing of obstacles and ensures success and glory. 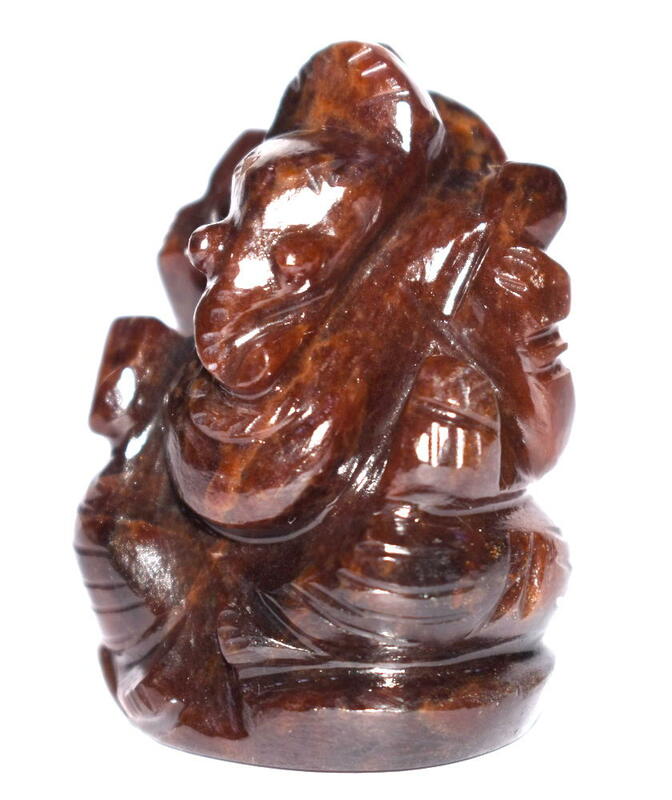 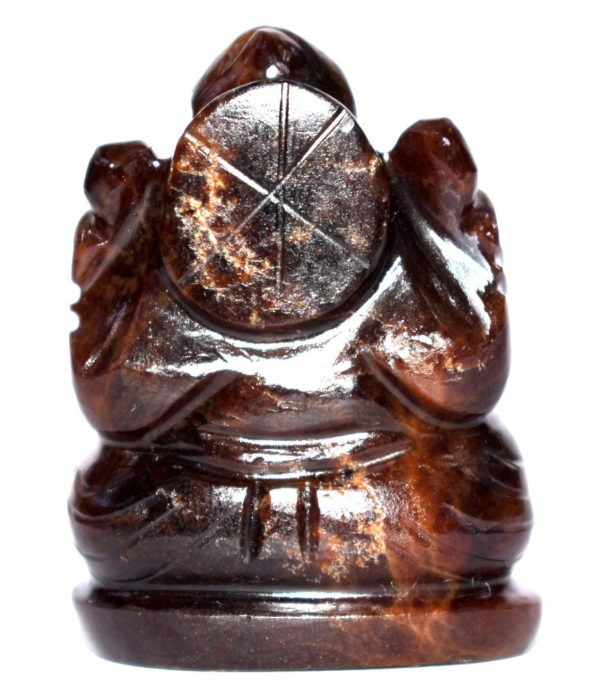 As Gomed-Hessonite is a planet Rahu gemstone, it also pacifies the Rahu malefics and destroys obstacles and enemies.